Erin Gruwell and the Freedom Writers are a teacher and 150 students who changed the course of their lives through writing. Armed with pens and composition notebooks, the Freedom Writers challenged themselves and the education system to be better. The Freedom Writers Foundation focuses on four main components: teacher training, curriculum, scholarship, and outreach. These programs make it possible to improve education for more students locally and abroad. 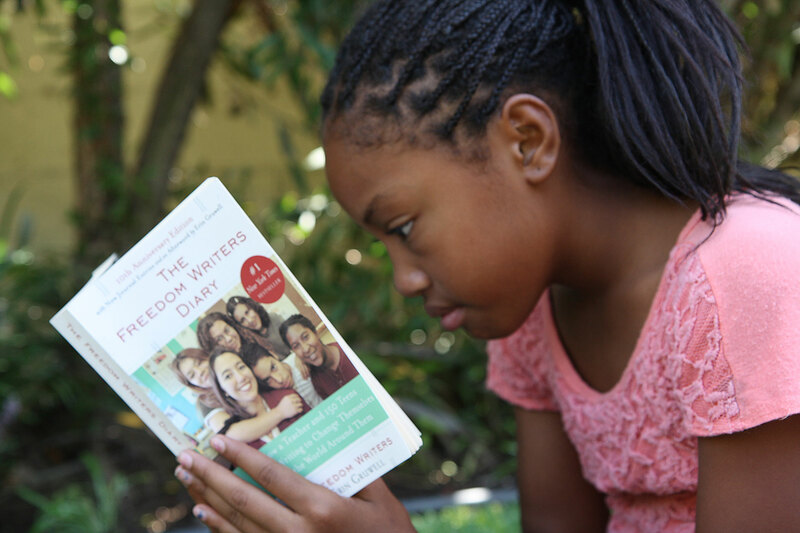 The success of the Freedom Writers reaches far beyond the traditional classroom. The Foundation continues to celebrate the triumphs of our community and partners who strive for equality in education. Only with our devoted community can we continue to impact the education system and transform students' lives. Please join our community and be part of the solution. Through our Outreach Program, Erin Gruwell and the original Freedom Writers provide powerful presentations for students, educators, and other professionals. Training programs for educators at all levels, professionals who work with adolescents, and professionals in leadership roles. Our curricula contains numerous activities, all aligned to national standards, that facilitate a transformative process for how students approach school and life. The Freedom Writers Foundation awards scholarships to first-generation high school seniors and college students who have demonstrated academic promise despite considerable odds. You've seen the movie. You've read the book. Now listen to the podcast! Thank you for your interest. Only with our devoted community can we continue to impact the education system and transform students' lives. Please join our community and be part of the solution. Connect with our community and learn more about our programs. Register for our newsletter.